The eye’s record the body's past health, current state of well-being, and its strengths, weaknesses and predispositions into the future. 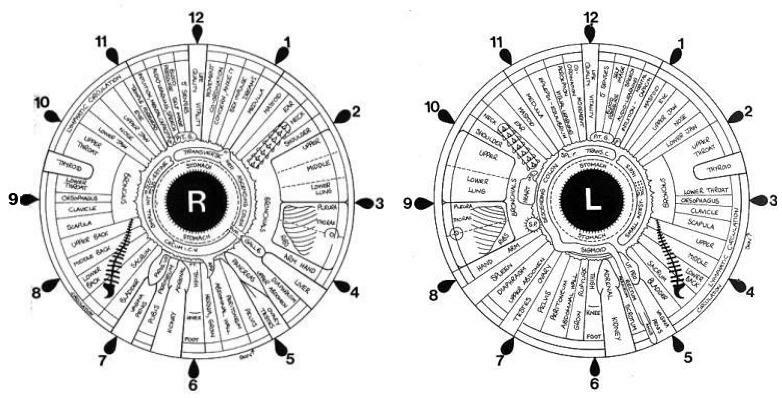 Iridology or Iris Analysis is the observation of the coloured part of the eye (the iris) as an indicator of past and present states of health. It can point to potential weaknesses of particular organs or bodily systems in an individual and can highlight areas of concern that may be under stress physically or emotionally. When used by a knowledgeable and experienced practitioner it is a very useful diagnostic aid. Areas of concern indicated by analysis are then addressed, as always, in the context of the individual's overall health issues and needs. This may be with herbs, flower essences, diet and nutrition or referral to an appropriate allied health practitioner, or doctor. The best way to observe the iris is by taking a photograph that can then be studied at length without discomfort to the subject. It also offers the opportunity for the subject to participate in the analysis. Iris photography is included in naturopathic consultations.